In addition, this device can also be used to test shorter foundations like those found beneath light poles and sign poles. Even guardrail posts can be tested with this unit. Using your Windows-based tablet or laptop, the FTG’s small size and light weight make it the perfect choice when testing (and moving) between multiple foundations. The FTG employs the Sonic Echo (SE) method in accordance with ASTM Standard D5882. This test method involves impacting the top of a foundation and recording echoes from the foundation bottom. The received echoes are collected with an accelerometer receiver positioned near the point of impact. The depth results are displayed in Olson’s FTG software. The FTG system includes an interface device, all necessary cables and software, an accelerometer receiver, and a hammer with two plastic tips appropriate for testing deep foundations. In order to get good results on shorter foundations, a steel ball-peen hammer (not included) is the correct tool for creating the required higher frequency sound waves. The hammer provided with the FTG is supplied with two heads; black and red. The black head is harder than the red head. For most deep foundation tests, the black head is recommended for the SE test. The red tip is typically used for very long foundations (greater than about 90 ft). Typically, light pole and sign pole foundations range from 3 to 10-foot in length, so a smaller hammer is required. We suggest a ½ to 1 lb steel ball-peen hammer for these shorter foundations. Question: Are there limitations to the length of shaft/pier that can be tested? When a shaft’s length-to-diameter ratio exceeds 20:1 to 30:1, the attenuation of compression wave energy is high and bottom echoes are weak or unidentifiable in SE test results. So, a shaft with a diameter of 1 ft can be tested to 20 – 30 feet while a shaft with a diameter of 2 ft can be tested to 40 – 60 ft. Foundations less than 2 – 3 ft in depth cannot be tested with the Sonic Echo method. Instead, the Impact Echo (IE) method is required. We look forward to featuring your questions in our next newsletter! 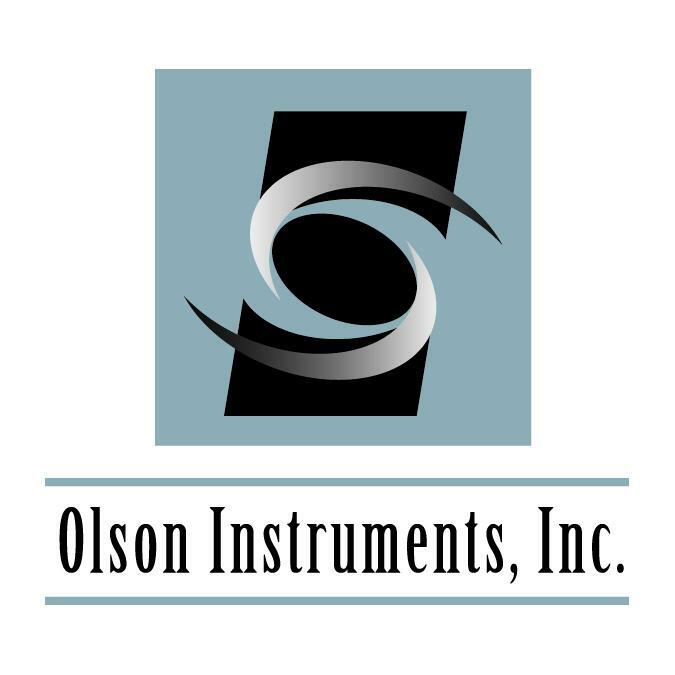 Olson Instruments will be attending the Structures Congress on April 24 – 27, 2019 in Orlando, FL. Visit us in Booth #116. Mark your calendar for Olson’s Annual NDE User’s Seminar October 1 – 3, 2019. Hope to see you in the fall!